Joseph V. Simeri - Mediator & Arbitrator based in South Bend, Indiana. Simeri Arbitration and Mediation, P.C. 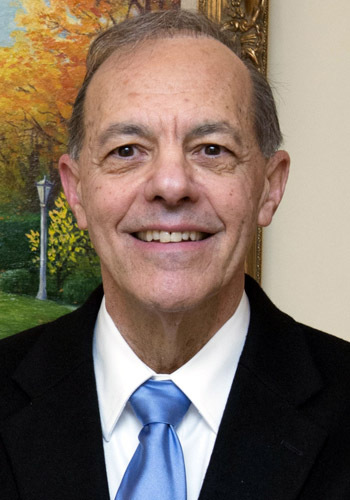 Joseph V. Simeri brings to mediation and arbitration forty years of civil jury and bench trial experience in Federal and State Courts as lead counsel in cases involving personal injury, product liability, construction law, Title VII of the Civil Rights Act of 1964, Constitutional claims, 42 U.S.C. 1981, Age Discrimination in Employment, Equal Pay Act, Americans With Disabilities Act, Trade Secret Litigation, Non-Compete Covenant cases, Employee Retirement Income Security Act (ERISA), Commercial Contract Disputes and Estate Disputes. He has an AV Peer Review rating from Martindale-Hubbell. Mr. Simeri now serves exclusively as a mediator and arbitrator. Having mediated in excess of 5,000 cases, he believes in the words of the Honorable George Mitchell that "conflicts are created, conducted and sustained by human beings - they can be ended by human beings."